Happy New Year! Well, the time for festive present giving has now well and truly passed, but the University of St Andrews Library Special Collections Division received a wonderful gift the other week. What was it, you may be wondering? 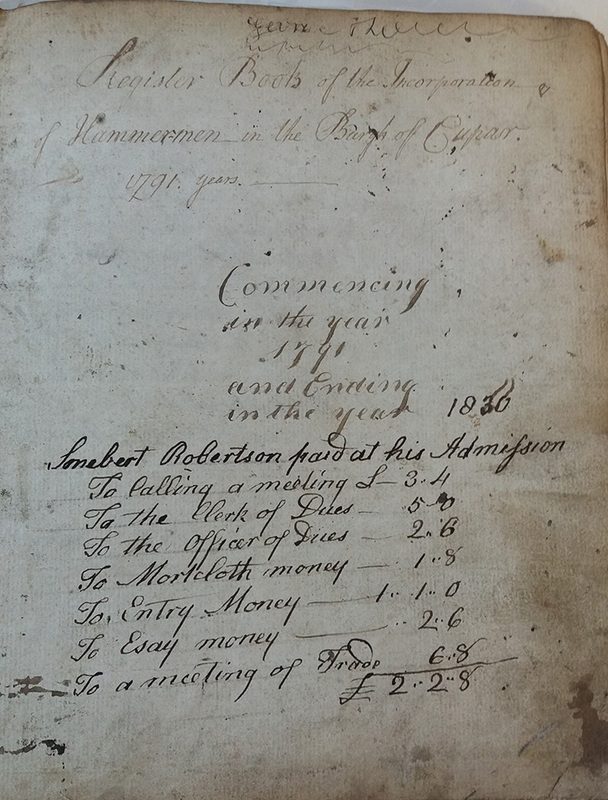 None other than some precious volumes to add to the Cupar Burgh records! They were kindly gifted by the Boyd family in Cupar, one of whom had been an avid researcher into the history of Cupar and a Town Councillor. They fit very nicely with the records we already hold and, in some cases, complete a series. Without further ado, let me share with you exactly what they are. 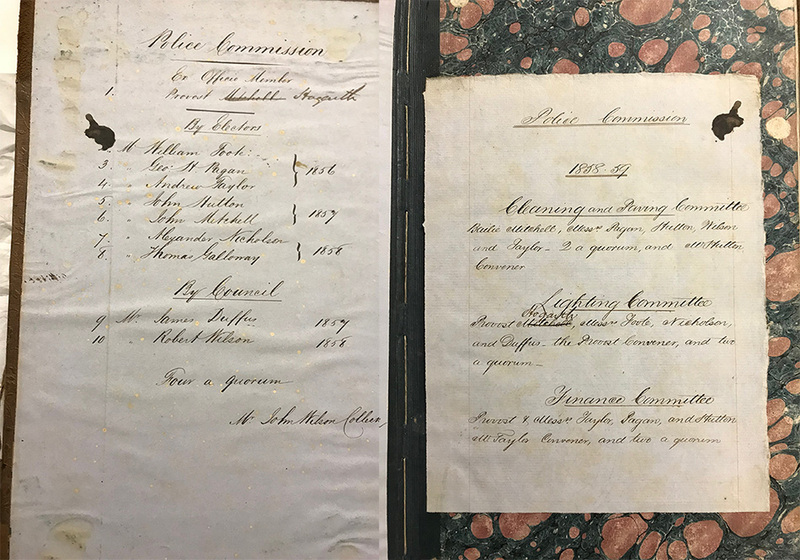 The Burgh Police Commissioners minutes series in the collection consisted originally of eight volumes covering the period 1833-1900, but the first two volumes were missing from 1833-1859. Imagine our delight and surprise when the first two volumes turned up amongst the Boyd family gift! The Burghs and Police (Scotland) Act 1833 allowed inhabitants of royal burghs to set up a police system for watching, cleansing, paving and lighting. At a meeting of towns people on 19 December 1833 it was decided “to establish a general system of Police”. At first only the lighting clauses of the Act were dealt with by the Cupar Police Commissioners, but later this was extended to include watching, paving and cleansing. There were eight different trades groups in the Cupar Burgh at one time, one of which was the hammermen. The crafts of hammermen included goldsmiths, silversmiths, blacksmiths, clockmakers, locksmiths, sword makers, tinsmiths, in other words all types of metal workers, a key craft in any town or burgh. 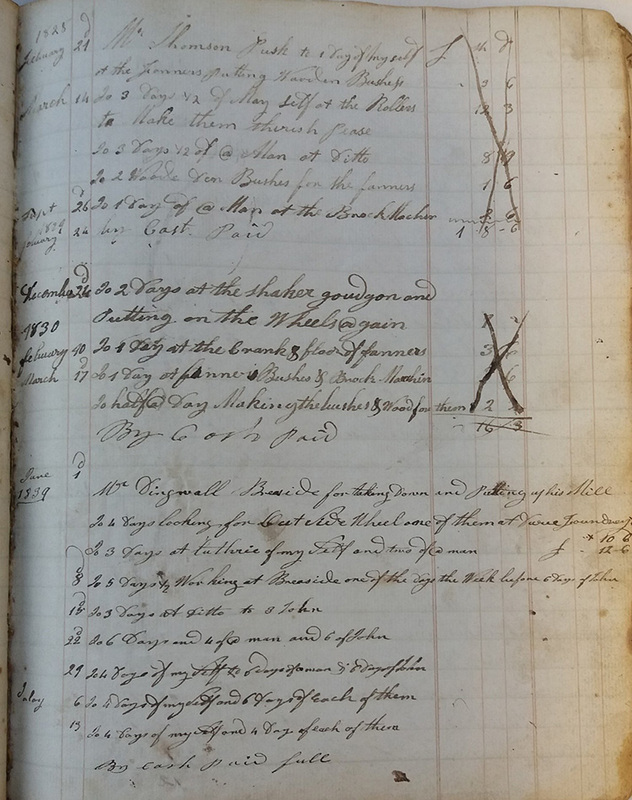 We were pleased to receive the Register Book of the Incorporation of Hammermen in the Burgh of Cupar covering 1791-1830. This will be a boon to family and social historians. 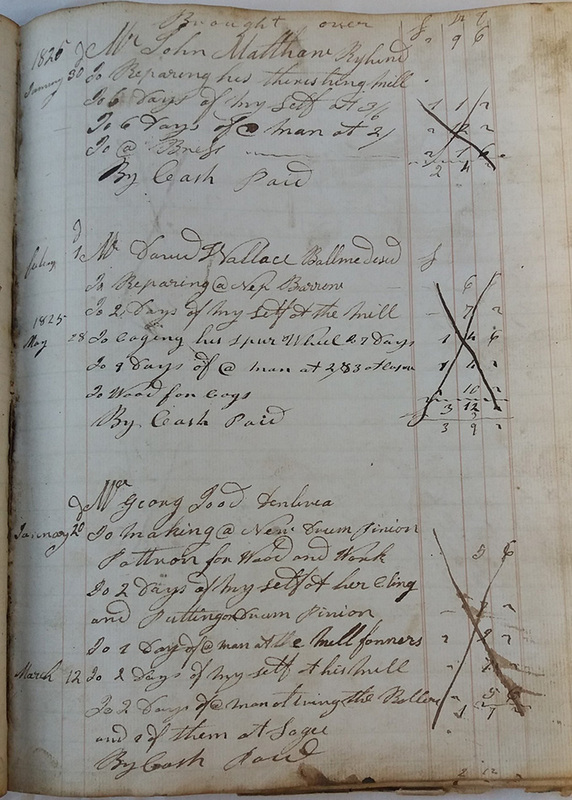 Continuing on with the trades, within the gift is a cashbook of an unknown tradesman from 1819-1844, possibly a millwright or woodworker due to the types of work mentioned within the volume. The volume lists the tradesman’s customers. There are drawings inside the front and back covers, including a poem about ‘sin’ at the rear. I am looking forward to trying to find out who the unknown tradesman was, or perhaps you might know? If so, please get in touch. 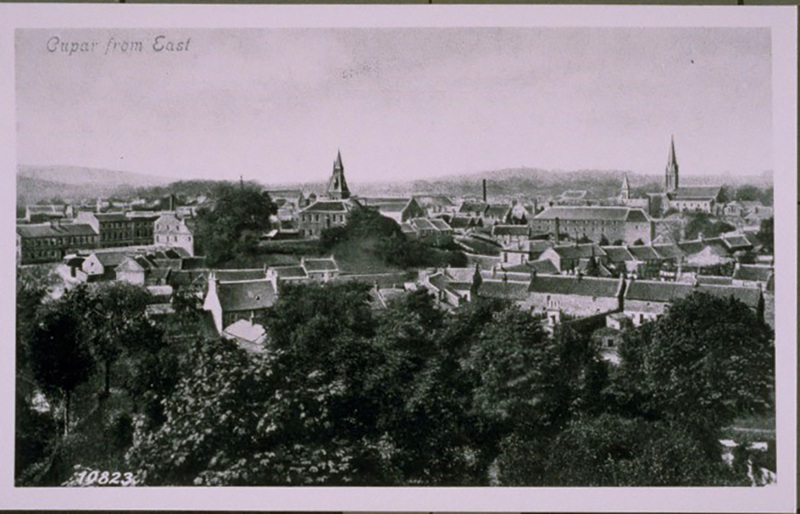 Cupar was granted its Royal Burgh status likely early in the 14th century. This meant that the burgh officials became feudal superiors on behalf of the Crown in relation to change of ownership of property within the Burgh. 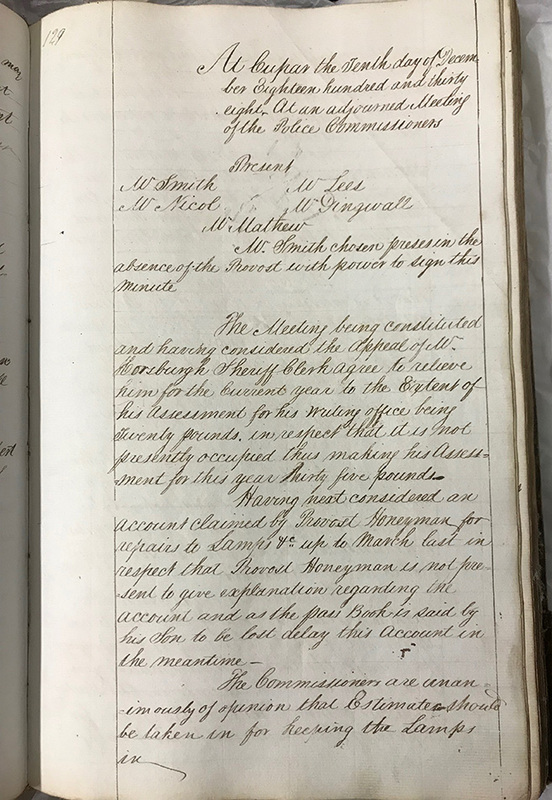 Whenever a property was sold or transferred the Burgh had to grant a Charter confirming that the change of ownership was approved. 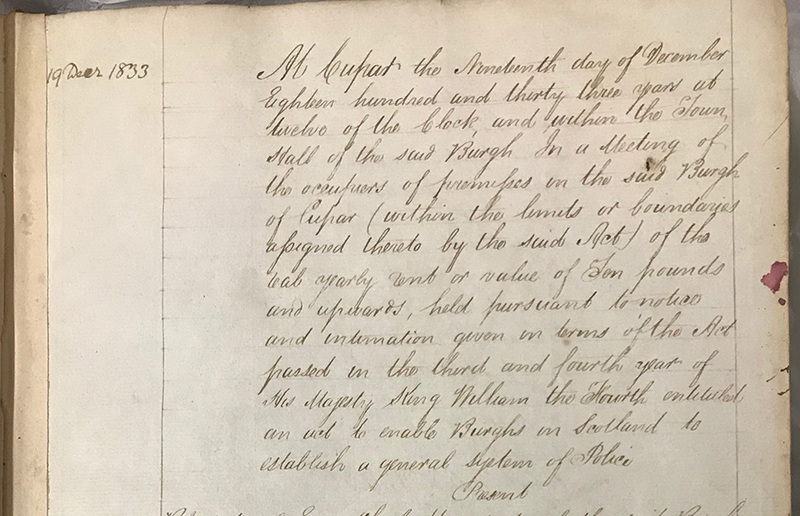 The University already held one Charter Book for Cupar from 1784 to 1803, but the Boyd family gift included another from 1833-1938. It contains fascinating information on people involved in the sale and transfer of property and, of course, details of the properties too. Another precious source of information to family and social historians. 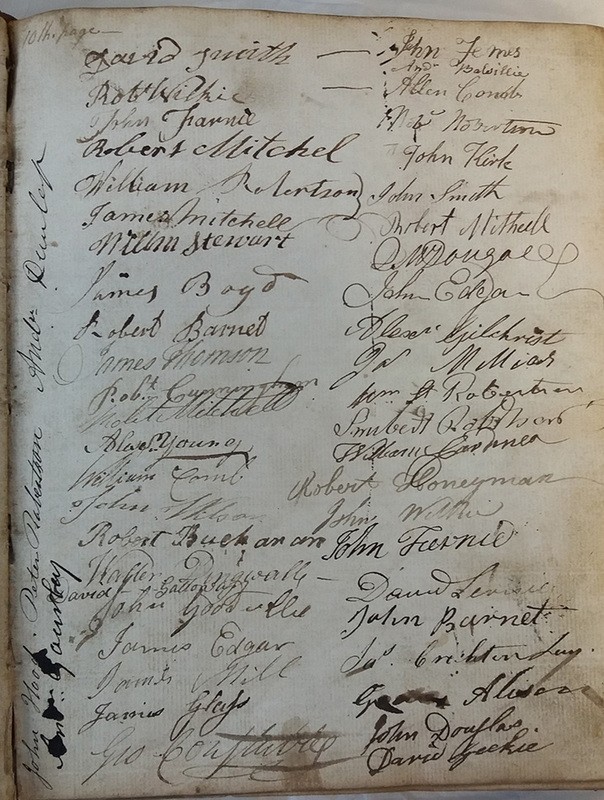 I hope you have enjoyed reading about the new additions to our Cupar Burgh collection. We would like to thank the Boyd family for donating these wonderful records to the University. There are two pieces of other news I would like to share with you. 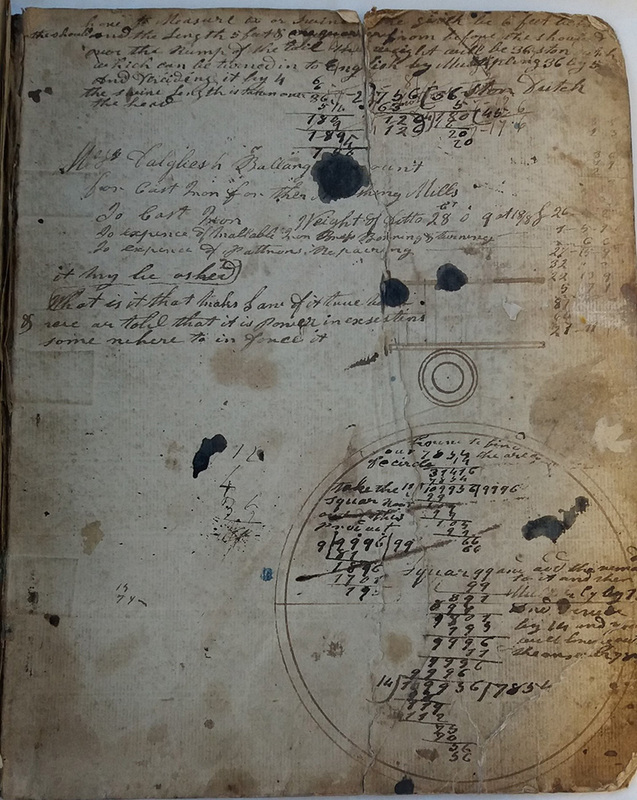 The first is that I will have a stall with some interesting original records from the Cupar Burgh collection on display at the Genealogy Study Day in Cupar Library on Tuesday 22 January 2019 between 10 am and 3 pm. Do pop in and have a look. Secondly, the University is looking for volunteers within the community of Cupar who are interested in being involved in some indexing/transcription projects. 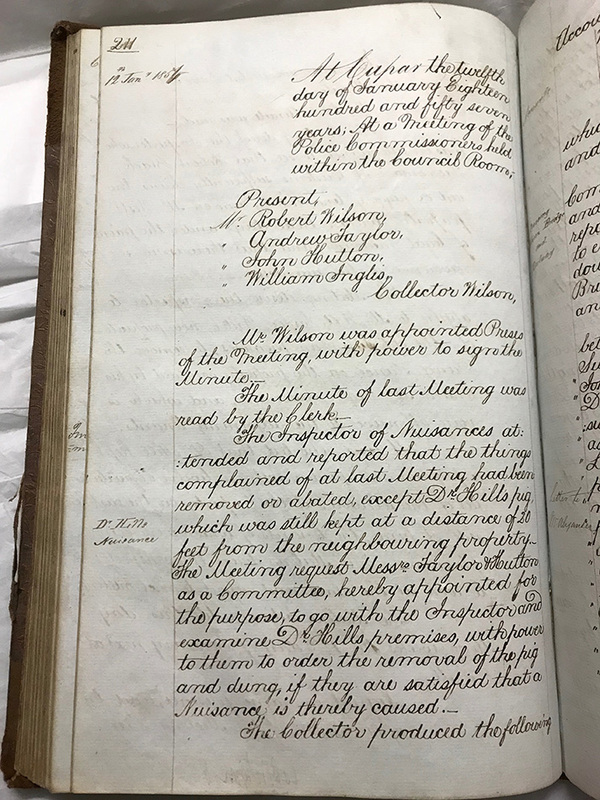 It is anticipated that the volunteers will work in a group setting at the Cupar Library using copies of the original records. If you are interested in being part of this exciting venture, please come along to a meeting at the Cupar Library (Room 14) on Friday 25 January at 2 pm. I will explain what types of projects are available and what is involved. Anyone who would like to learn more and is keen to take part will be warmly welcomed. If you wish to attend the meeting, please contact Christine Wood at caw23@st-andrews.ac.uk or telephone 01334 461727 to confirm.